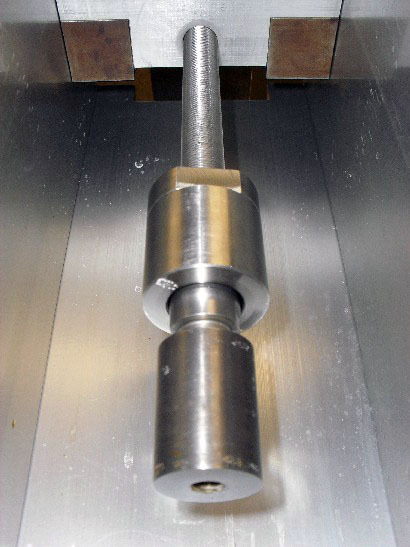 This unit is designed for testing standard tensile coupons or threaded parts in tension using either the RSL™ (ISL) method or standard tensile test parameters. 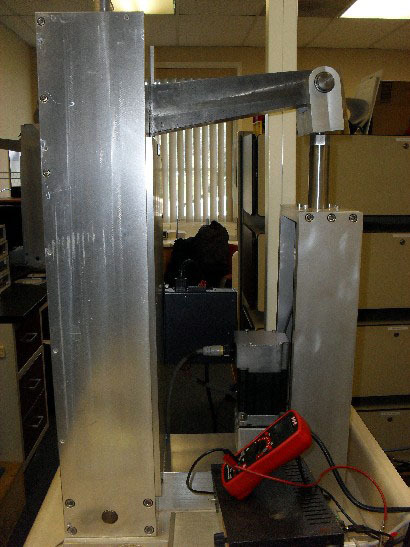 It uses constant displacement as the loading method, controlled by a digitally actuated stepper motor. 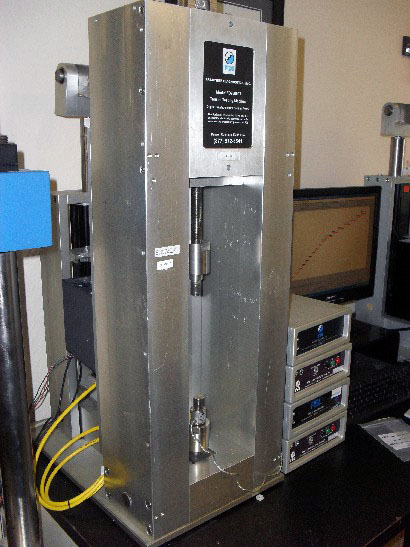 This provides abilities for a broad variety of testing parameters including sustained load, constant stress rate as in ASTM E8 and all varieties of Step Load Profiles including those required by ASTM F519 and F1624. 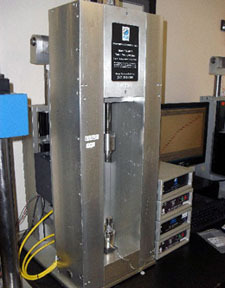 The FDI 20000-T model, provides a tensile force capability of 20,000 pounds, which allows testing of many standard test specimens as well as actual parts of significant size. The included software uses a graphical interface combining a unique control of all testing parameters and simplicity of operation. Data generated can be filed into and analyzed by many standard data base programs. The tensile frame is designed as a desktop unit and can be provided with gripping adapters to accommodate a broad variety of test specimen configurations, needs only normal wall outlet for power and requires no cooling or waste disposal. 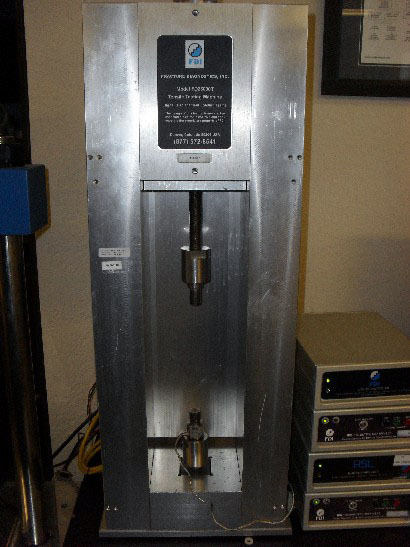 Takes the FDI 20000-T model and adds Scientific Software, a Scientific Controller, an Environmental reservoir, a Platinum Electrode , and a Ag/AgCl Reference Electrode. 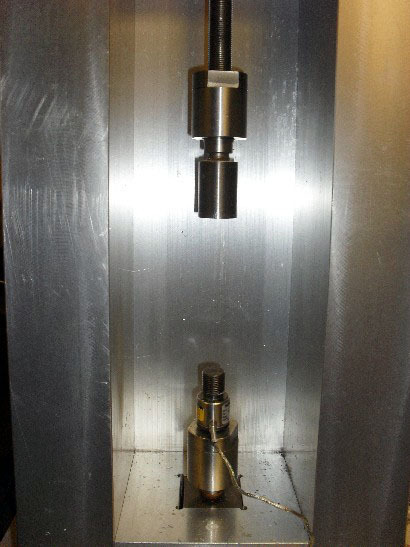 This allows the Tensile Frame to become a powerful research and investigative tool able to emulate field conditions and measure the response of materials, Parts or substrates. 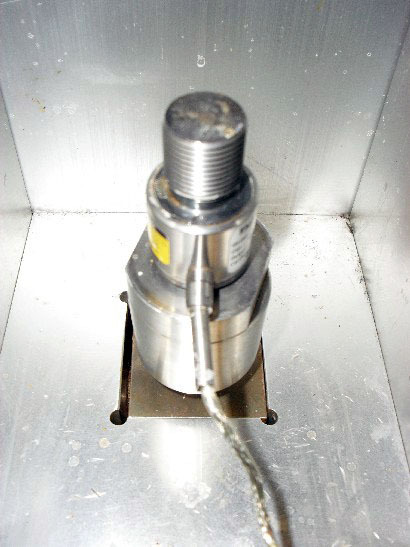 With this capability, it is possible to determine if a material, part or substrate is already embrittled by hydrogen; if it would be susceptible to embrittlement when used in real world applications; as well as its behavior in a worst case scenario all at a rate capable of over 1000 tests a year.